The National Firearms Act (“NFA”) controls the ownership and possession of certain types of firearms. The NFA is often referred to as Title II of the federal firearms laws. Title I is the Gun Control Act of 1968. 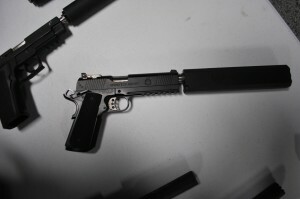 The weapons that the NFA covers include short-barreled shotguns and rifles, machine guns, silencers, as well as destructive devices such as bombs, grenades or weapons with a higher caliber than .50 (except for certain shotguns), and “any other weapons” such as pen guns, cane guns, etc. When purchasing any of these NFA weapons, they must be registered with the Bureau of Alcohol, Tobacco, Firearms, and Explosives (referred herein as the “BATFE” or “ATF”). Typically, individual owners wanting an NFA weapon are required to obtain a background check and submit fingerprints, along with obtaining the signature of the Chief Law Enforcement Officer (CLEO) where they live. The CLEO is normally the county sheriff or the chief of police for the town or city where the gun owner resides. It is important to remember that state law also regulates the ownership and possession of NFA weapons (commonly referred to as “Class III” or “Title II” firearms). Nevada doesn’t restrict the ownership of any of the above weapons, unlike some states (California, for example). Even though it is common to hear the terms “Class III” and “Title II” used interchangeably, it should be noted that Class III really refers to the type of license that an FFL dealer must have to sell Title II weapons. As mentioned above, you are required to register a Title II firearm by submitting fingerprints and background information, along with obtaining authorization from a CLEO each time you, the gun owner, desires to acquire a new Title II item. An NFA gun trust is an attractive alternative for various reasons. Creating and funding an NFA gun trust allows weapons to be registered without getting the CLEO signature or having the background check and fingerprinting requirements. This is particularly useful in areas where the CLEO refuses to sign for Title II weapons, which may be the case in communities where the public is generally “anti-gun”. A trust separates title of the property (the firearms) into two parts: legal title and beneficial title. The trustee holds legal title to the firearms and manages them for the benefit of the beneficiary (beneficial title). The trustee and the beneficiary are initially the same person. The trustee of the gun trust holds the Title II items for the benefit of the named beneficiaries. An NFA gun trust contains special provisions to guide the trustee concerning the transport of Title II weapons from one state to another. Typically, the NFD gun trust also has a clause which prevents the trustee from allowing a “prohibited person” (as defined under federal laws, including minors and felons) from possessing the Title II weapons. An additional advantage of an NFA gun trust is that there can be multiple trustees. Often husband and wife, for example, will be co-trustees of the gun trust. Having more than one trustee allows either party to possess the Title II weapons. Also, a gun trust can designate who will receive the firearms held in the trust after the trustor’s death. Because of potentially severe penalties for wrongful possession of a Title II firearm (up to a $250,000 fine and possible jail time), you must have a trust agreement that complies with both federal law and the laws of the state in which you live. As part of a Title II weapon transfer to a trust, ATF approval of the gun trust document is required. You will see many lawyers selling NFA gun trusts on the internet (but are often licensed in only one state). It makes sense to use a local attorney that can verify that the gun trust meets the laws of your state. 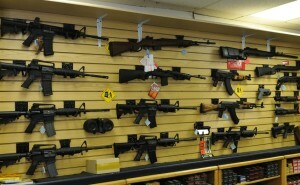 We recommend that you have a local Nevada attorney draft the Nevada gun trust. If you would like our help to set up your NFA gun trust or any other estate planning needs, contact our office. If you would like to learn more about basic revocable living trusts, read this page.